In addition to our brothers and sisters in the ADNE, we are very excited to welcome Bishop David Hicks of the Reformed Episcopal Church to our Synod. It is an honor to share this time with him as he shares his heart with us both for his diocese and the Anglican Communion. The Reformed Episcopal Church has been a partner with us in the Anglican Church in North America since the founding of our province, and we are thankful for the opportunity to share this time together. David Hicks was born in Salem County, New Jersey, in 1963. He was raised in a Christian family, and from the time that he could read, he evidenced a deep love of the Scriptures. After graduating from high school, he attended Valley Forge University, where he dedicated himself to studying the Scriptures in the original languages. Desiring to pursue a teaching career at a bible college or seminary, he attended Westminster Theological Seminary, Philadelphia. He earned a master’s degree in 1986. It was during this time he also sensed a specific call to pastoral ministry in the Episcopal Diocese of New Jersey. That call was later realized through the Reformed Episcopal Church. In God’s providence, David’s life took an unexpected path when he became a legislative aide to New Jersey State Assemblyman Jack Collins, and he spent ten years working in New Jersey politics. At the time, it seemed that this was a departure from what God had called him to do; however, in retrospect it is evident that God used that time and experience to strengthen him in administrative and personnel skills, which were to be of tremendous use to him at a later point in life. At the end of this time, he sensed a fresh calling to serve in parochial ministry and was ordained in the Reformed Episcopal Church. 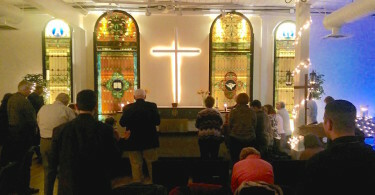 For two years he was involved in a church planting effort in New Jersey, and then he answered the call to serve as rector of St. Paul’s Reformed Episcopal Church, Oreland, Pennsylvania, in 1995. Many things happened during this time. David met his wonderful wife Lisa, who is an oncology nurse at Fox Chase Cancer Center, Philadelphia. 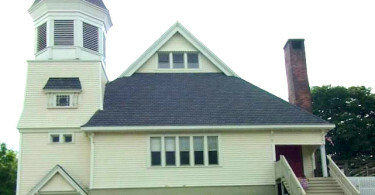 He also began using his teaching skills at Reformed Episcopal Seminary Blue Bell, Pennsylvania, teaching Biblical Greek, at first, and additional New Testament courses were added over the years. He also earned a Master of Sacred Theology degree at the Lutheran Theological Seminary, Philadelphia, and enrolled in a PhD program at Westminster Seminary. He is currently finishing his dissertation. In 2005, the Diocese of the Northeast and Mid-Atlantic elected him bishop co-adjutor of the diocese, and then he assumed the office of bishop ordinary in 2008 – a position he continues to hold. By virtue of his office as bishop, he is the Chancellor of Reformed Episcopal Seminary. 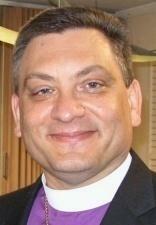 When the Reformed Episcopal Church became a founding jurisdiction of the Anglican Church in North America (ACNA) in 2009, Bishop Hicks was received into the ACNA College of Bishops. He has served as a member of the Prayer Book and Common Liturgy Task Force and currently serves as the chair of the Holy Orders Task Force. David and Lisa reside in Oreland, Pennsylvania and have three grown children. Along with our scheduled speakers and voting delegates from each congregation, guests are more than welcome to attend, and we hope that you’ll join us. If you’d like to attend, please register below by Friday, November 20! Questions about Synod and delegate requirements? Review the ADNE Constitution and Canons (PDF files). Feel free to email the diocesan office at ad-ne@ad-ne.org with any other questions you may have or to volunteer as a helper!